Connect the Dots Ginger | Becky Allen: Go NUTS For Your Man's Health! Healthy and fit families start with healthy and fit moms! I remember as a kid, when my mom was on a diet, we were ALL on a diet! Well moms, this one is for you to help your hubs or partner be healthy and fit too. Our men need us! My husband relies on me to feed him good, healthy foods, and have good workouts for him to do at home to be a great example for our boys and so that he can prevent any future health problems and be here as long as possible for me and our kids. I have really worked hard to teach him to pack his own HEALTHY, WELL BALANCED lunch so that he doesn't have to rely on the vending machine or spending his hard earned money on lunch made in the cafeteria at work. 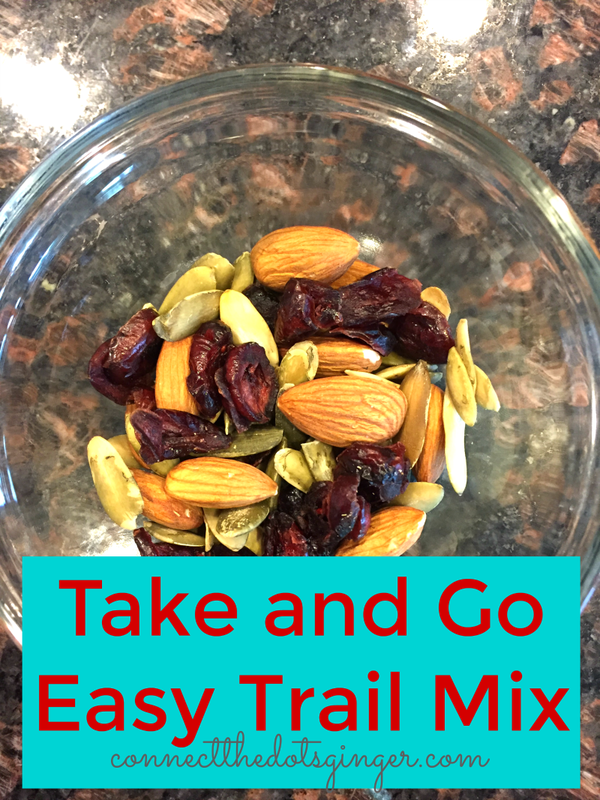 One of my favorite easy, mid morning snacks to have him pack is my take and go trail mix! 1 Tbls dried unsweetened cranberries. Combine and store in snack size Ziploc bags for grab and go! When I make this trail mix I make 10-14 bags at a time. So that he can just reach in the pantry and pack it in his lunch! EASY and healthy! Don't be fooled by this small snack though. I know it looks small and you are probably thinking, "how can this keep him or me satisfied?" But IT REALLY DOES! All thanks to the NUTS! 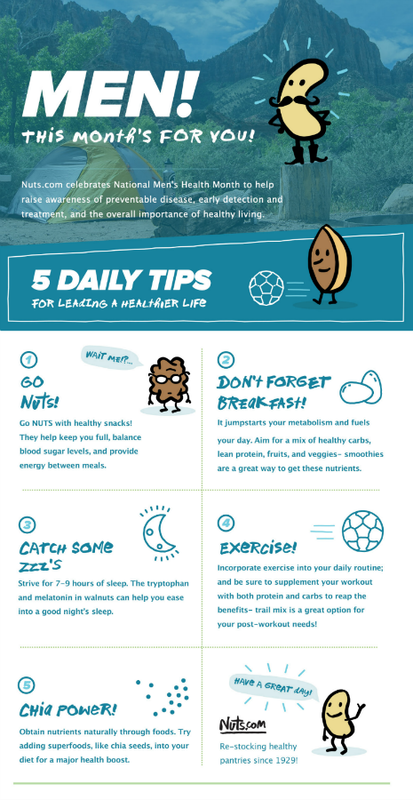 Nuts are a great healthy snack to have. They are healthy fats, which our bodies really do need to be healthy to help maintain good blood sugar levels. But we don't need that many, and 10 almonds in this case, are THE PERFECT number to help you feel satisfied and to stave off that "I'm hungry feeling" between a healthy and much needed breakfast and a healthy lunch! 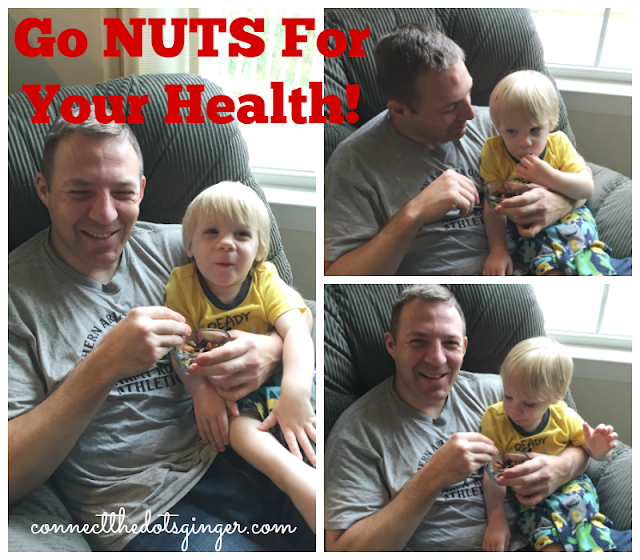 Want to know why NUTS are so awesome for you and your man? CLICK HERE for HEALTHY SNACKS and HERE for HIGH PROTEIN SNACKS ideas. And it is so good all the men in my household enjoy them too! Including my 2 year old! With our help, our men can be just as healthy and fit as us! Comment below: What are your favorite nuts to enjoy as a snack? Want more daily motivation and inspiration? Click here get free advice, support and encouragement + a free copy of my Clean Eating guide to help you get started on your health and fitness journey today!